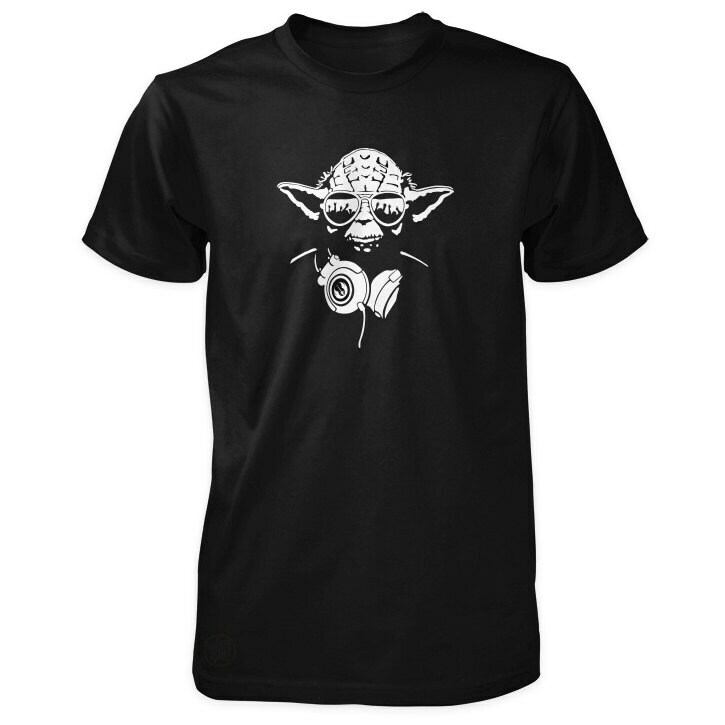 This silk screened Star Wars inspired t-shirt features our own vector art version of DJ Jedi Master Yoda. Bought as a gift, very pleased with how it turned out. Thanks!